The regulated cannabis industry in Washington state continues to show significant revenue growth vs the year prior, with 2016 retail sales numbers for the beginning of 2016 (through May) totalling $229.04M, producer/processor revenues at $129.66M and total excise tax revenue for the state coming in at $84.73M. Compared to the same time period (January to May) in 2015 we see a 142% increase in combined revenues for growers/processors and retailers. For the same time period, 2015 retailer revenues were at $105.66M, producer/processor revenues at $42.66M and excise tax revenue at $37.1M. Driving some of the growth is the addition of new retail operations opening, as 2016 sees the introduction of 64 new retailers throughout the state, a 33% increase in locations. 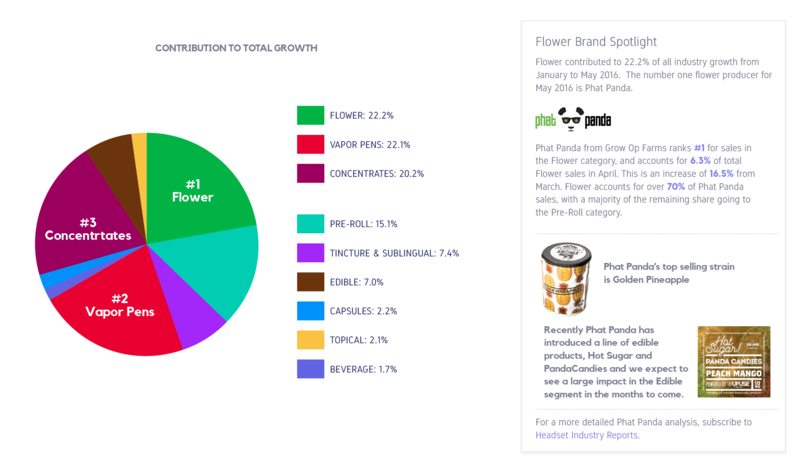 The majority of the industry growth from January to May was in Flower, Vapor Pens, and Concentrates which together contributed to 59% of the total growth. 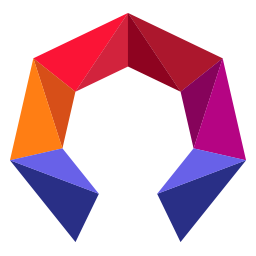 These segments are large so their total dollar growth is expected to be a large percentage of total industry growth. 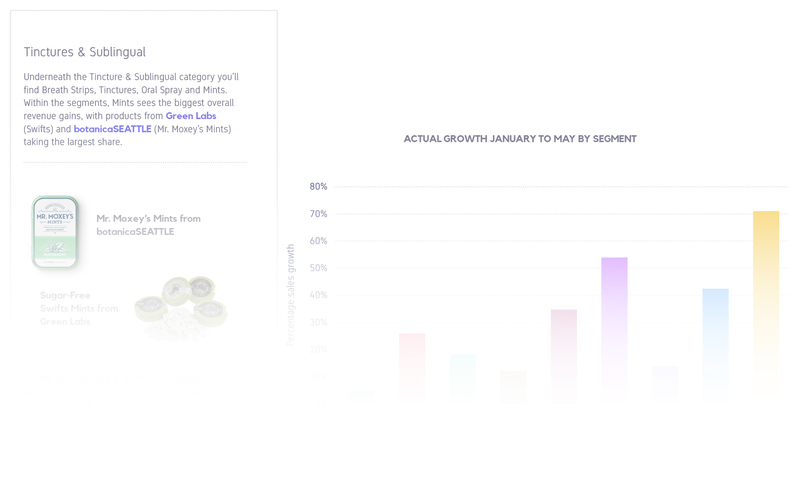 While Flowers and Vapor Pens contributed the most to total growth Topicals and Tincture & Sublinguals had the largest percentage growth month over month from January to May. These categories are both small and thus they did not contribute as much to total growth.